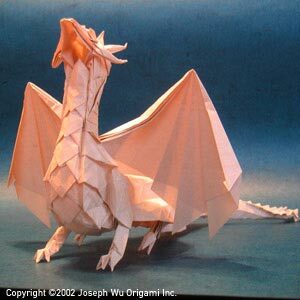 It correspond to ancient dragon, It was folded from five sheets of paper. 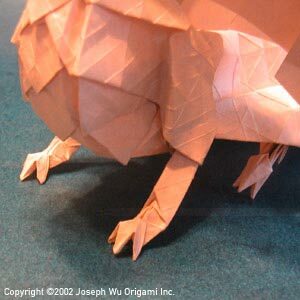 The head, upper neck, lower neck, chest, fore legs, haunches and hind legs, tails, wings are all folded separately. 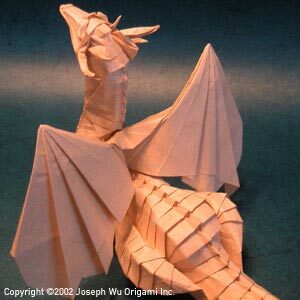 Although the step by step tutorial is not available, still fun to know that there are talented people who can imagine to fold this very complicated kind of origami. 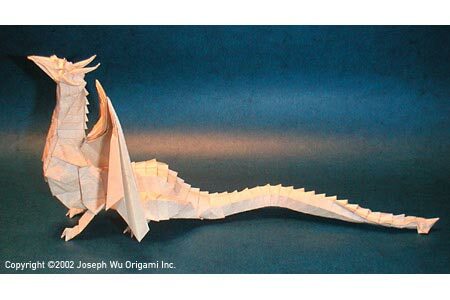 It is not folded in scale.